Quinoa is a delicious whole grain that has been around since pretty much forever, but has become more popular over the past several years. It is gluten free, high in protein, high in fiber, and readily available at the grocery store. I actually prefer it to brown rice for quick weeknight meals because it cooks faster. 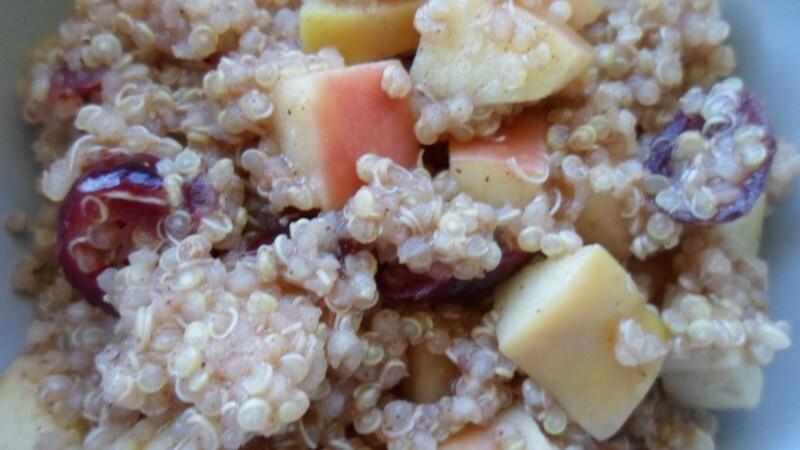 But until recently I didn’t think that “breakfast quinoa” was a thing. Over the past few days I had been craving a warm bowl of oatmeal for breakfast, but unfortunately oatmeal does not agree with me…Even gluten free oatmeal makes me feel like a giant ball of trapped gas. And I was out of buckwheat cereal. So I thought why not make quinoa for breakfast? 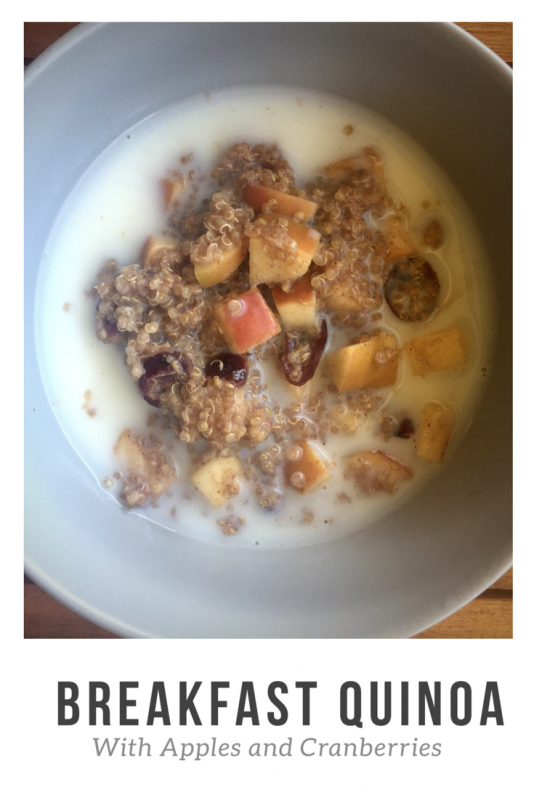 I could use fruit and warm breakfasty spices to make it similar to oatmeal! So I went to work and made a batch adding whatever ingredients I could find. 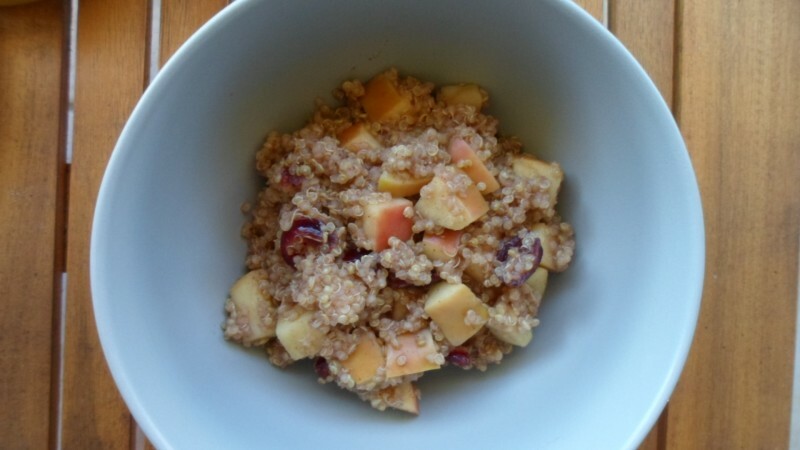 I was able to rustle up some gala apples and dried cranberries which went together perfectly with the quinoa and spices. It turned out great and I even had leftovers for the next morning! It kinda reminded me of the McDonald’s Oatmeal but with much less sugar. Bring water to a boil in a medium pot. Add quinoa, allspice and cinnamon to boiling water. Stir, cover, and reduce heat to simmer for 10 minutes. Add apples, cranberries and brown sugar. Stir, recover and all to simmer for an additional 5 minutes. Remove from heat and serve. Top with milk (skim, almond, rice, soy…) if desired. 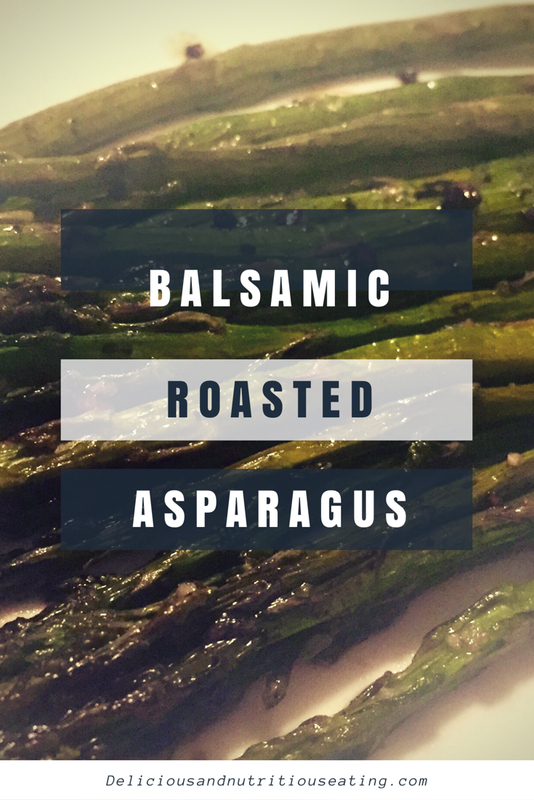 St. Patrick’s Day is coming up this week so I went through my recipes to see if I had anything green I can post, and I found a recipe for roasted asparagus I had made a few weeks ago. It is just a veggie side dish, so if you are looking for something a little more green and festive for St. Paddy’s Day, I like to make St. Patrick’s Day Green Eggs for breakfast every year. I use spinach to dye the eggs green so it adds both extra nutrients and fun! Anyways, asparagus is a great vegetable. It is one of my go to side veggies when making fish. For some reason I love salmon with roasted asparagus and mashed potatoes…the flavors and textures just seem to go together. Asparagus is full of many nutrients such as fiber (good for staying regular and feeling full), Vitamin A (good for your eye health and immune system) and folic acid (super important for pregnant ladies). It is super easy to cook, you can steam, roast or saute it, and although it does have a strong flavor you can still season it in very different ways. A lot of times I just use olive oil, lemon juice, salt and pepper which is fresh and super simple, but recently I have been adding a few different flavors…hence this new recipe today, which I think make become my new go to asparagus recipe. Preheat over to 400 degrees. Rinse off asparagus and chop off bottom tough ends of stalks. Spread cleaned asparagus out in in a glass baking dish. 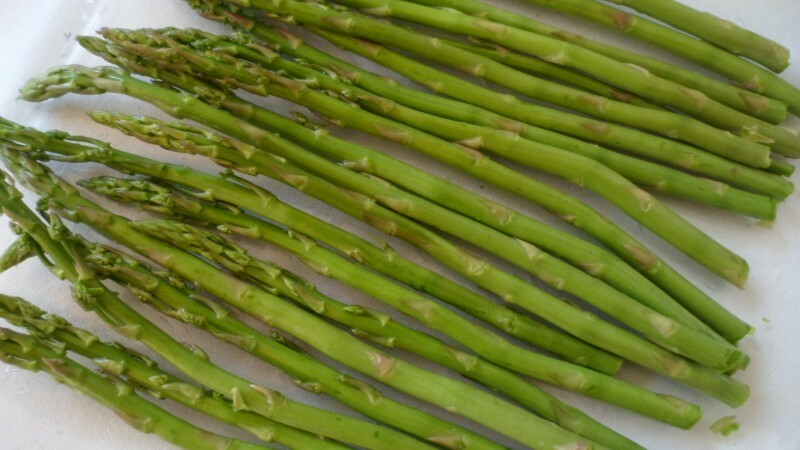 Mix oil, lemon juice, salt, pepper and garlic in a small bowl and drizzle over asparagus. Toss to evenly coat and then spread out asparagus in a single layer for even cooking. Cook in oven for 15 minutes. 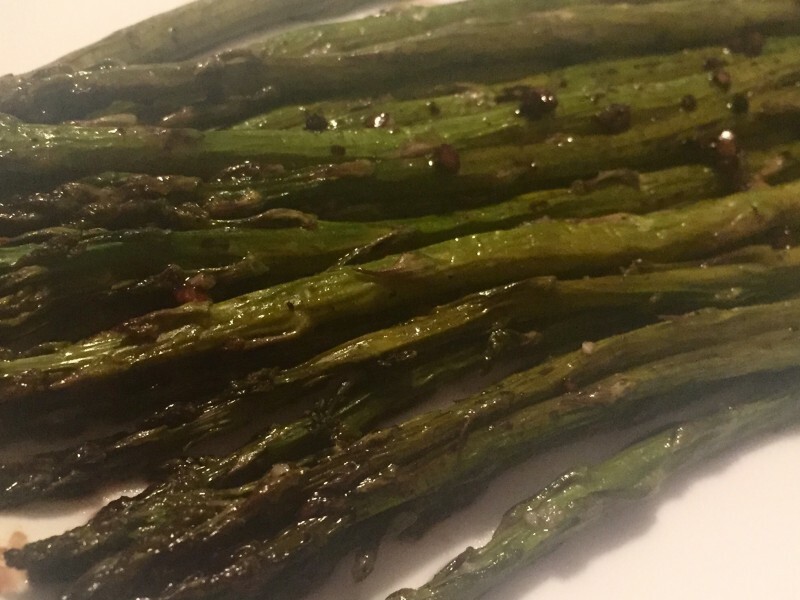 Remove and drizzle balsamic vinegar over asparagus. Place back in oven and cook for an additional ten minutes or until asparagus reaches desired tenderness. 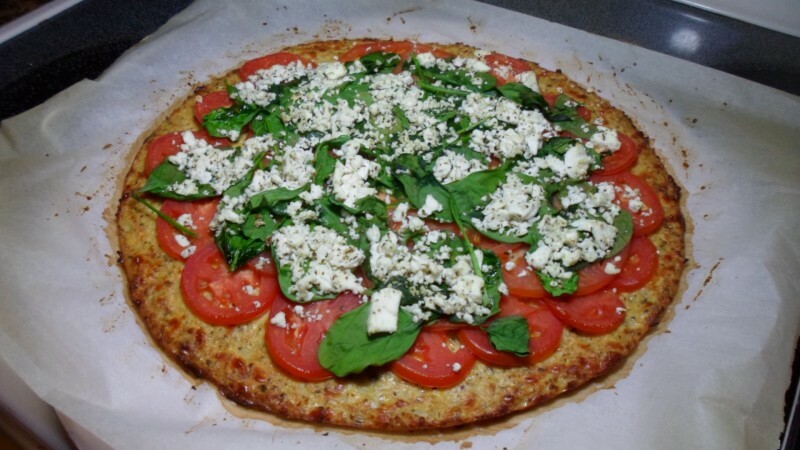 I love pizza and trying to make it healthier and gluten free can be a bit of a task. 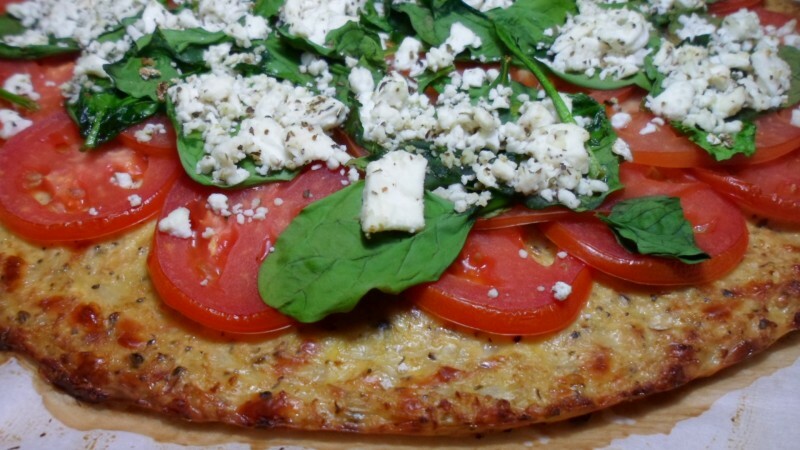 I have seen a lot of recipes for cauliflower pizza crust but have been afraid to try it due to a terribly failed attempt at cauliflower tortillas. Basically the cauliflower tortillas fell apart and just didn’t taste very good so I have been poo-pooing the cauliflower as a pizza crust trend. But I decided to give it a try (it actually took two attempts to get it the way I wanted it), and it turned out pretty flavorful and didn’t fall apart! 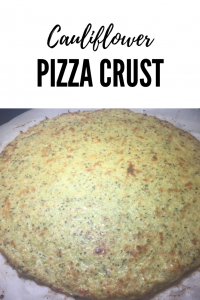 Basically making the pizza crust just consisted of making cauliflower “rice” in blender or food processor, cooking and squeezing the extra fluid out of the cauliflower, and then mixing it with eggs, cheese, garlic and basil to make a “dough.” And then bake! Super simple. I didn’t put a lot of toppings on my pizza because I didn’t want to test the strength of the crust too much, due to my falling apart cauliflower tortillas…but it really didn’t need that many toppings to make it satisfying and delicious. I would recommend though that if you use watery veggies to top the pizza such as fresh tomatoes or mushrooms that you don’t use a lot and/or cook them a little in the microwave first to remove some of the water, because it will make the cauliflower pizza crust softer. Making pizza crust out of cauliflower is a great way to get some extra veggies in your diet and it actually tastes good too! Preheat oven to 400 degrees and line a pizza stone with parchment paper. Rinse cauliflower head and remove stem. Break or chop cauliflower into pieces and pulse in food processor or blender until it looks like rice. 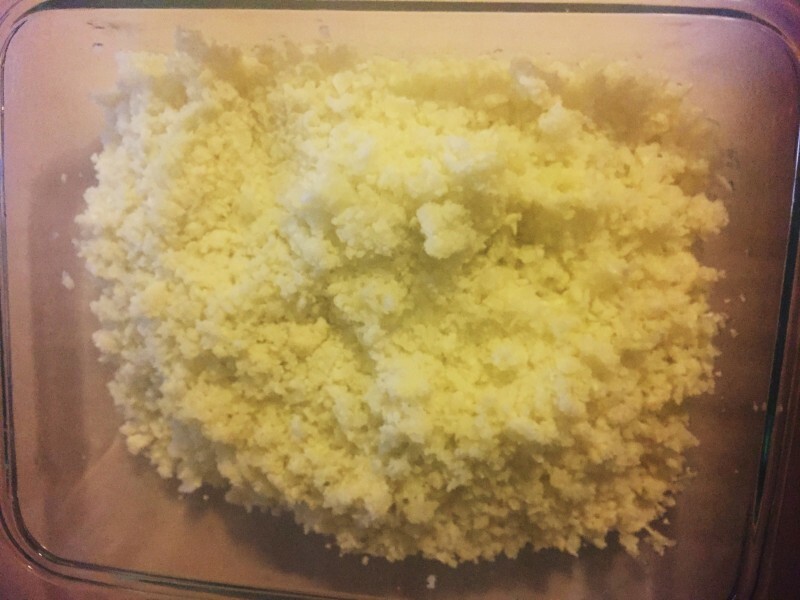 Place cauliflower “rice” in a microwave safe bowl and cook in microwave on high for about 7 minutes, uncovered. Pour out onto a clean towel and allow to cool slightly. Wrap up the cauliflower in the towel and wring out over the sink to squeeze out the excess fluid. 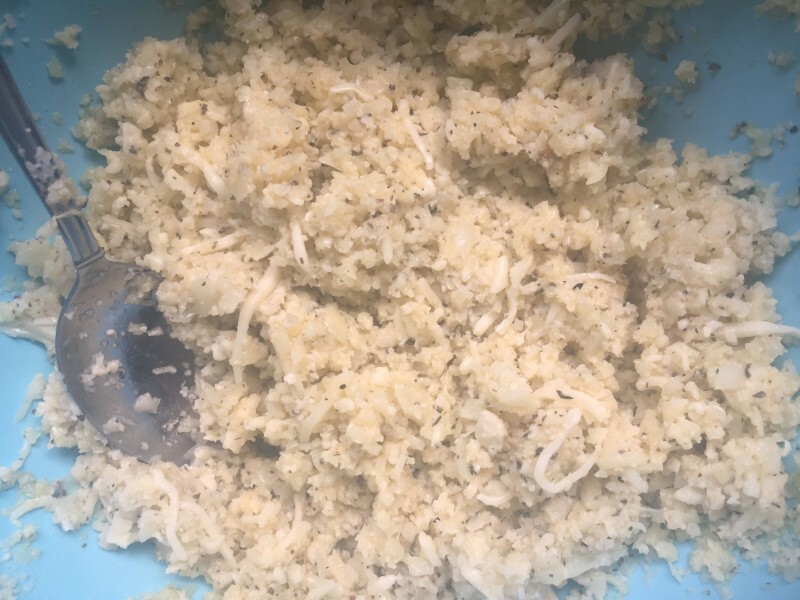 In a mixing bowl combine cauliflower, eggs, basil, garlic and cheese. Mix together well. Place mixture in center of the parchment lined pizza stone and spread out into a circle, about 1/4 of an inch thick. Bake in oven for 30 minutes. Remove from oven and top evenly with desired toppings and bake for another 15 minutes. Allow to cool slightly, slice and serve. Enjoy!